The industry representatives said that the problem in switching from coal to natural gas is commercial viability and that there is no regulation of gas price currently. 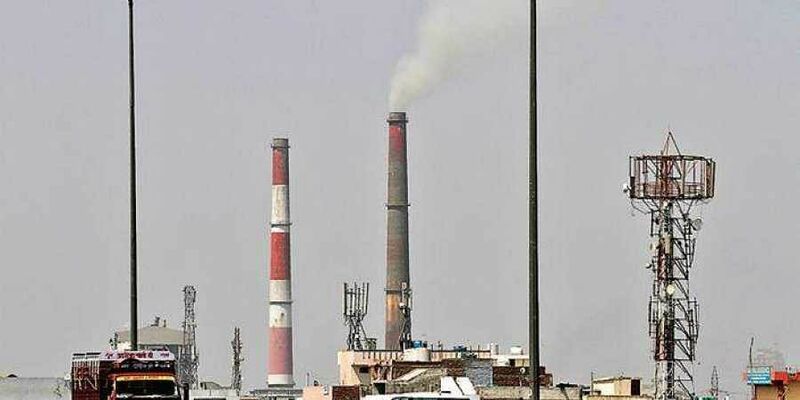 NEW DELHI: Noting that adequate efforts are not being made by polluting industries, the Environment Pollution Control Authority (EPCA) said it is “seriously considering” a CPCB proposal to shut down industries in pollution hot spots on days air quality enters ‘severe’ level in that particular area. The Central Pollution Control Board (CPCB)-led task force on November 22 had recommended to the EPCA that industrial, construction and demolition activities should be banned in major hot spot areas when air quality levels reach ‘severe’ category. In a meeting on Friday with coal-based industries in Delhi-NCR, EPCA Chairperson Bhure Lal and member Sunita Nairain lashed out at them over their failure to switch to cleaner sources of energy for their operations.Representatives from oil and gas companies such as Adani gas, Haryana City Gas, IGL and GAIL were present at the meeting. “Let us tell you, we are seriously considering a proposal from the CPCB to shut down industries in the area where the pollution reaches severe. We are, therefore, appealing to you to switch to cleaner fuel as it is going to be critical. Your systems are not working efficiently. We have monitored for levels of Sulphur, Nitrogen Oxide, and they are much higher than the limit,” said Narain. The industry representatives said that the problem in switching from coal to natural gas is commercial viability and that there is no regulation of gas price currently. “If coal is banned, we will be unviable. The industry will shut down,” one of the representatives said, adding that they will improve their mechanisms and install better pollution control systems. To this, the committee said it will write to industries asking for a breakup of their pricing of piped natural gas and what are the terms on which they supply it to the consumers. “We will keep pushing for switching to gas as there is no other option. We will also push the government to reduce VAT to make it cheaper by 20 per cent for industries,” said Narain. Lal said last week, EPCA sealed 140 units that were dealing in tar oil, rubber oil, and synthetic engine oil, but another issue is that the sealed units shift to non-conforming areas and continue their operations. On December 4, the CPCB-led taskforce identified 21 areas vulnerable to high pollution in Delhi-NCR and directed the municipal corporations to take “focussed actions” to mitigate the effects.The taskforce has identified 15 pollution hot spots including Anand Vihar, Bawana, CRRI Mathura Road, DTU, and Dwarka-Sector 8.